VOMO ISLAND RESORT With just 32 villas set on an expansive 255 acre island, VOMO offers a tremendous opportunity to enjoy space and seclusion in a tropical paradise. Once a favorite retreat of Fijian royal chiefs, the privately owned Vomo Island is now a sleek, stylish resort that offers total isolation. Set on the slopes of Mt. 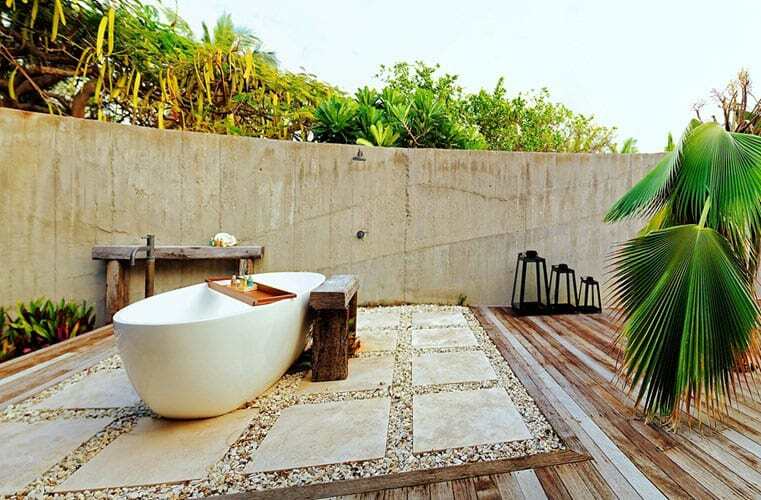 Vomo, just steps from white sands, its 32 villas feature private decks and inviting hammocks. Interconnecting villas are perfect for families. Go snorkeling, get a spa treatment, play the par-three golf course or hike up the mountain for 360-degree views; the kids’ program includes a range of complimentary fun activities with a distinct Fijian flavor. Honeymooners and other romantics can seek out their own tiny deserted island (Vomo Lailai), perfect for a sunny rendezvous. 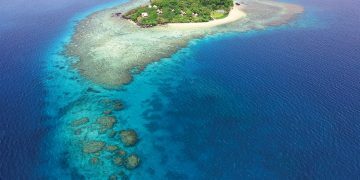 Because VOMO is a private island with no other resorts or villages, you will be embraced by a truly unique and personal 5-star Fijian experience. 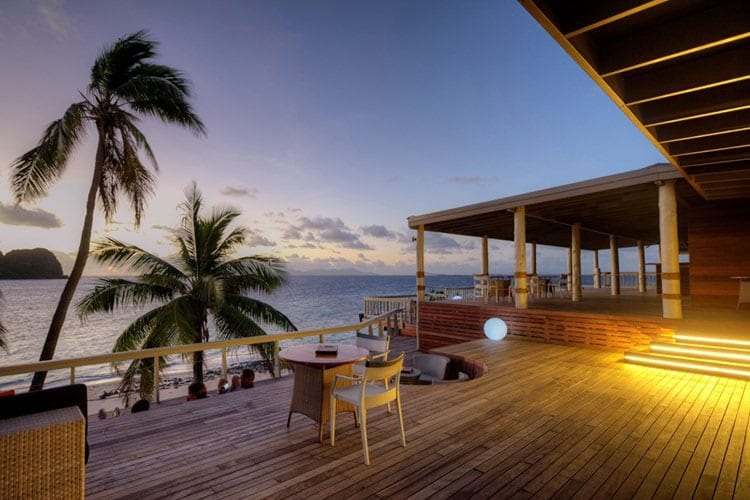 With just 32 villas set on an expansive 255 acre island, VOMO offers a tremendous opportunity to enjoy space and seclusion in a tropical paradise. Long deserted white sand beaches fringe the island and the warm crystal clear waters that surround the island are perfect for swimming, snorkeling and diving. VOMO beckons you to relax under a palm tree, walk the beach, or explore the crystal clear waters. VOMO is a foodies paradise. Delicious cuisine suited to the tropical environment is included in the rate. The adults only Rocks is THE place to venture for sundowners. Serving up delicious cocktails as the sun sets over the little island of Vomo Lai Lai, this very cool bar is the perfect vantage point to enjoy the best sunsets. Baby Butlers are available at nominal cost to care one on one for children or Little Islanders can be looked after on complimentary basis at the Kids Village where a range of fun activities have a distinct Fiji flavor. Vomo helps support two local villages on nearby islands. Guests can pack needed items to donate or personally do so on a cultural visit.